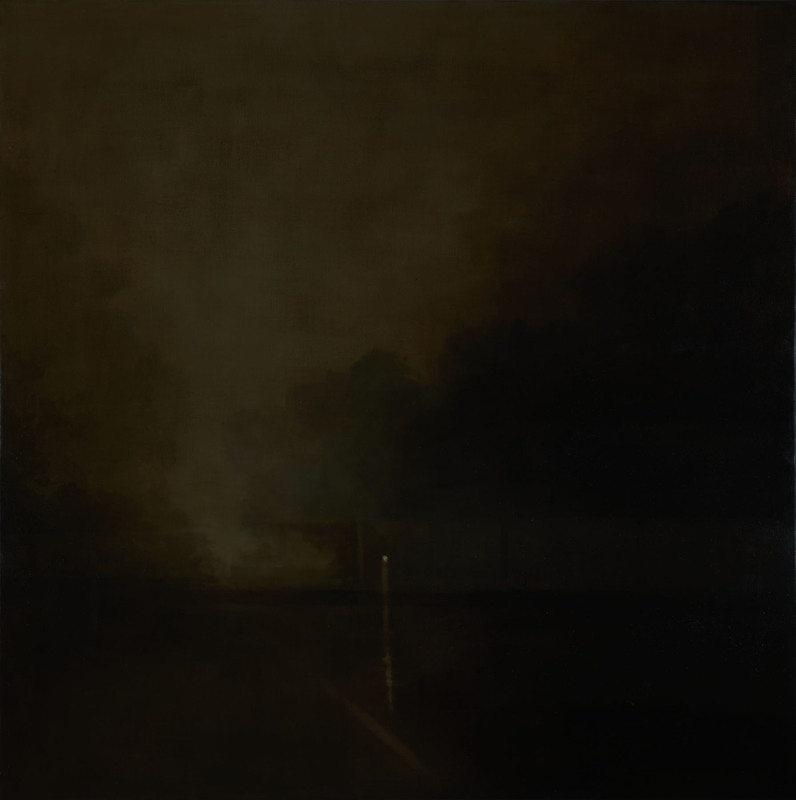 Brume 2016 selected for the Sulman Prize at the Art Gallery of NSW. The Sulman Prize is given to the best subject painting, genre painting or mural project in oil, acrylic, watercolour or mixed media. A list of all finalists can be seen here. Each year, the trustees of the Art Gallery of NSW judge the Archibald and Wynne, and invite an artist to judge the Sulman. The 2016 judge is Judy Watson. The Hill End Artists in Residence Program has its genesis in August 1947 when Donald Friend and Russell Drysdale made a trip to explore to the former gold rush towns of Sofala and Hill End. Friend was so engaged by the character of Sofala and Hill End, that he eventually bought a little cottage in Hill End now called Murrays Cottage and lived there with his partner Donald Murray for a number of years. Drysdale visited regularly, as did Margaret Olley, Jean Bellette, Paul Haefliger, David Strachan and Jeffrey Smart. Eventually Jean Bellette and Paul Haefliger bought a cottage which is now known as Haefligers in the town. These artists are often referred to as the ‘first wave’ of Hill End artists. In 1999, under the auspices of Bathurst City Council and Bathurst Regional Art Gallery, the Hill End Artists in Residence Program was officially launched. Adriane Strampp is currently living and working at Haefliger’s Cottage, an online diary can be seen here. When art critic for New York magazine, Jerry Saltz, saw a reproduction from Adriane Strampp’s recent series of landscapes he wrote that it seemed to him to describe a ‘Metaphysical Highway’. More precisely, since they acknowledge no deity, these works insinuate a circuitous passage: from detailed Victorian dresses, to flowers on textile, to accurate yet unnervingly humanoid animals, eventually arriving at a one-hued, contrived, rather than observed destination that recalls Jean Baudrillard’s notion: ‘the simulation of something that is real by proxy; something which never really existed.’ At the same time they counter the postmodern preoccupation with the end of aesthetics. Running through diverse subject matters is a mastership of her medium—a delicate touch with a tough or tragic commentary—despite their femininity. Among the Victorian ball gowns painted from 1991 to 1998, that are historically a female preoccupation, is a wedding dress without either a bride to wear it or a groom to marry. Complete with finely described bodices and expanded skirts, these dresses stand disarmingly, surveying rolling fields and hedgerows that customarily convey romantic sentiments, but here summon an existential air. Albeit with supreme subtlety, this landscape might just consume them. A stay in Umbria in 1998 led to the analysis of the Renaissance art seen there. Consequently, conventional composition was disrupted to produce a divided picture comprising details of period clothing, again with an unseen wearer, and close-ups of fabric detail. A not quite hyperreal white hare also takes a prominent role in a re-engineered landscape in which flowers occupy an unnatural position across the canvas. In the next series, enormous flower heads, sometimes without stems, sit lonely and transcendent, as if sensing a painful fate as they sink into the canvas like ash into soil. In 2011 Strampp was offered a residency with Taronga Zoo. On contracting pleurisy and finding herself too weak to paint, she made finely drawn and gently modelled, almost life-size sketches of its residents, notably the tapirs, focussing on their vulnerability. Again the hare joins them to warily, yet knowingly, observe their viewers. These charcoal drawings, by definition in shades of black and white, were succeeded by landscapes in which subjects are insubstantial, momentarily incandescent and described in monochrome. 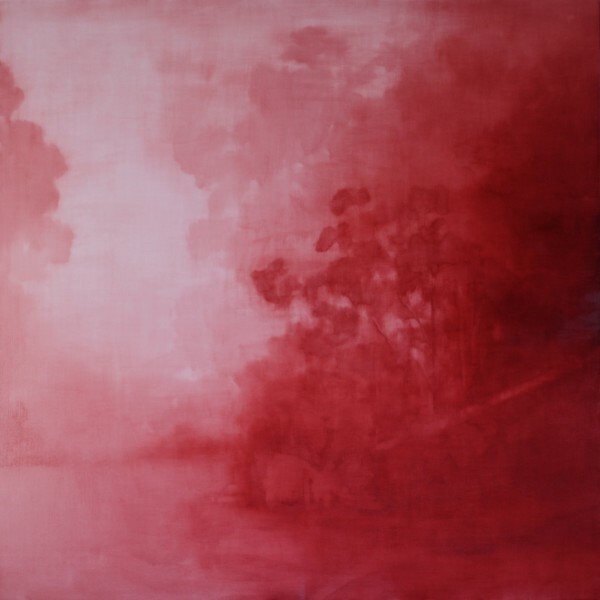 It is impossible, given the inclusion of road and tree-like imagery in the Rosafarben (pink) paintings, to read them other than as depictions of journeys and landscapes, and there is in fact an autobiographical impulse in a 2012 return to her birthplace in Wisconsin, USA, when Strampp reacquainted herself with its local forest trees. But to define these works as pure landscape is to locate them in the terrestrial and thereby limit their scope. The Wisconsin scenes were remembered indistinctly and were not exactly as they had once been; as they were seen through from a car window they were not perceived clearly a second time around. Everything about these works is at least once removed; there is a familiarity, but it is an insecure recollection. Sometimes there is a step back, such as in the use of the German word ‘vorbeigehen’ (to pass by) for a series title, so as to create a distance between the work and the viewer, suggesting at once a cloudy impression of autobiography—in that Strampp has German ancestors—and long gone landscape standards such as those in work by Constable and Turner. Painterliness is as important as the narrative stimulus from which it arises. Aqueous pigment is allowed to run freely allowing chance to take fleeting compositional control while images appear and disappear as mists and reflections. With the use of wax and delicate washes images dissolve and at the same time disconnect, so reflecting Strampp’s own peripatetic childhood that due to constant upheaval, was experienced as separation, transience and loss. In the Rosafarben works, the Australian, harsh-continent landscape model is contradicted, suggesting the watercolour rather than the oil tradition, while positing an emotional, yet powerful reinterpretation of it as female. Dr. Traudi Allen is a writer and art historian and an Adjunct Fellow with the National Centre for Australian Studies at Monash University. She has recently published John Perceval: Art and Life (MUP). Fleming, John and Honour, Hugh The Visual Arts: A History, 3rd. Edition. Harry N. Abrams, Inc. New York, 1991. p. 680-7. Described by Frederic Jameson as ‘a culture of degraded landscape of schlock and kitsch’, Jameson, ‘Postmodernism, or the cultural logic of late Capitalism’, New Left Review 1984, p. 65, 55 in Contemporary Cultural Theory, Milner, Andrew, p.107. Email communication between Adriane Strampp and Traudi Allen, 5 March 2016. Traudi Allen interview with Adriane Strampp, studio, 236 Brunswick Street, Fitzroy, 26 February 2016. View PDF catalogue here or on Issu.com here. 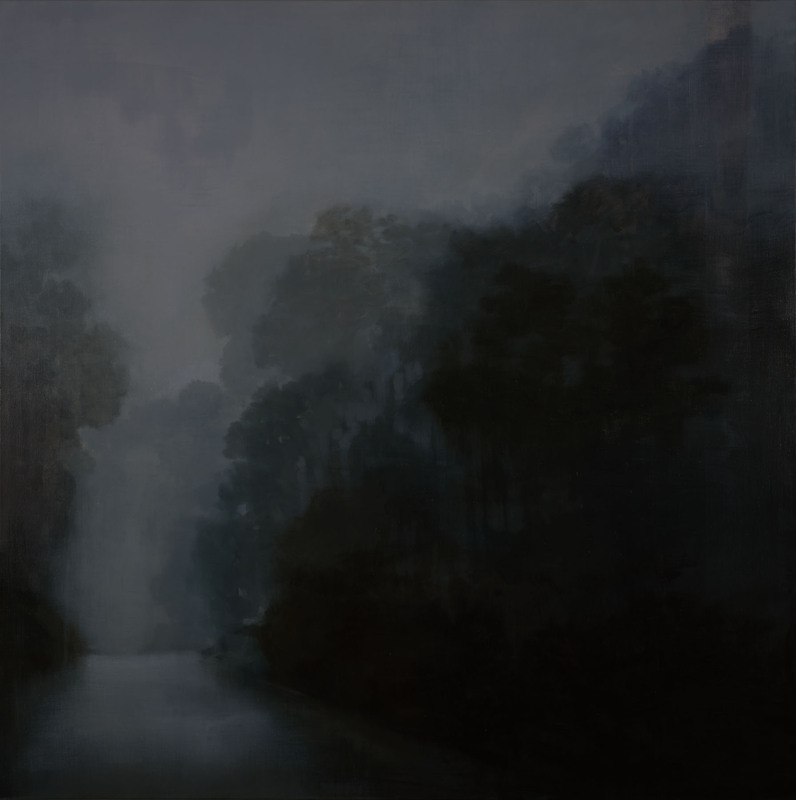 The Glover Prize has become one of Australia’s most significant awards for landscape painting. It is awarded annually for the work judged the best contemporary landscape painting of Tasmania. The winner receives $40,000 and a bronze maquette of colonial artist John Glover, whose legacy is celebrated though the Prize. The Adelaide Perry Prize for Drawing is a $25,000 acquisitive art award among the most significant of its kind in the country. Inaugurated in 2006, the Prize is generously supported by the Parents and Friends’ Association of PLC Sydney. Named in honour of respected painter, printmaker and draughtswoman, Miss Adelaide Elizabeth Perry who taught Art at PLC Sydney from 1930 to 1962, the Prize attracts submissions from around the country. The 2016 Perry Prize judge is Ms Julie Ewington, independent curator and writer. Read Julie’s statement on judging here. Text and selected works can be viewed on Ocula here. 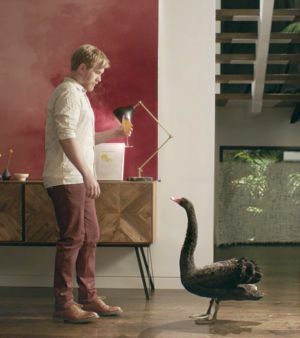 The painting Transition 2015 was borrowed recently to appear on a television advertising campaign by Monde Nissan for Black Swan dips. Image credit Publicis Mojo. 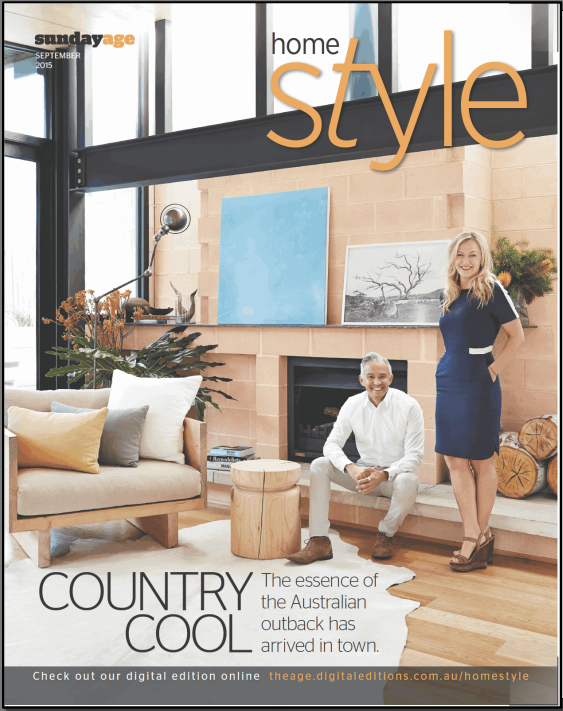 On the cover of The Sunday Age and Sydney Morning Herald, Melbourne interior designers The Stylesmiths borrowed Encounter 2015 for this Australian-themed shoot.